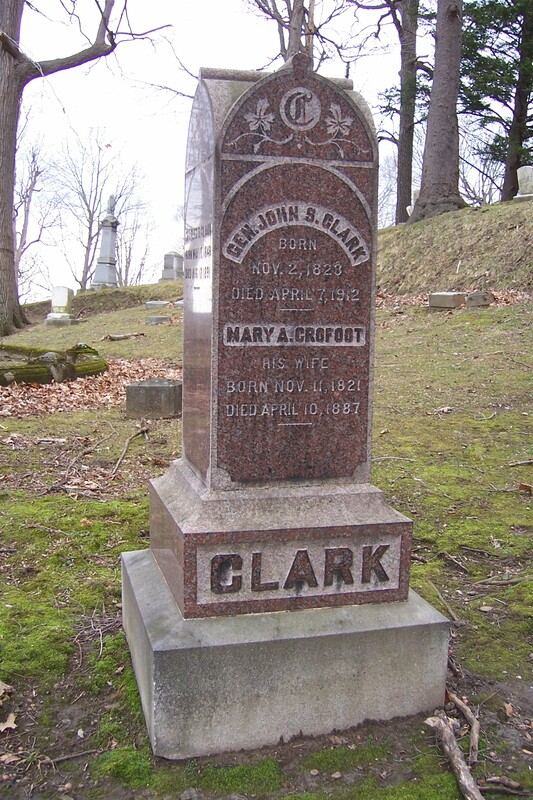 John S. Clark was born in the town of Mentz, Cayuga County. His father was Israel S DaVall and Sally L. Clark DaVall. As a young man he had his name changed to his mother's maiden name following the wished of his Grandfather Bennoni Clark. Married in 1842, He and his first wife Mary Ann Crofoot had five children. His residence was at 116 North Street. At the start of start of the Civil War he enlisted in the Union Army as a captain in Company G of the 19th New York Volunteers. He served with distinction throughout the war and was promoted to the rank of colonel and later was commissioned as a General. 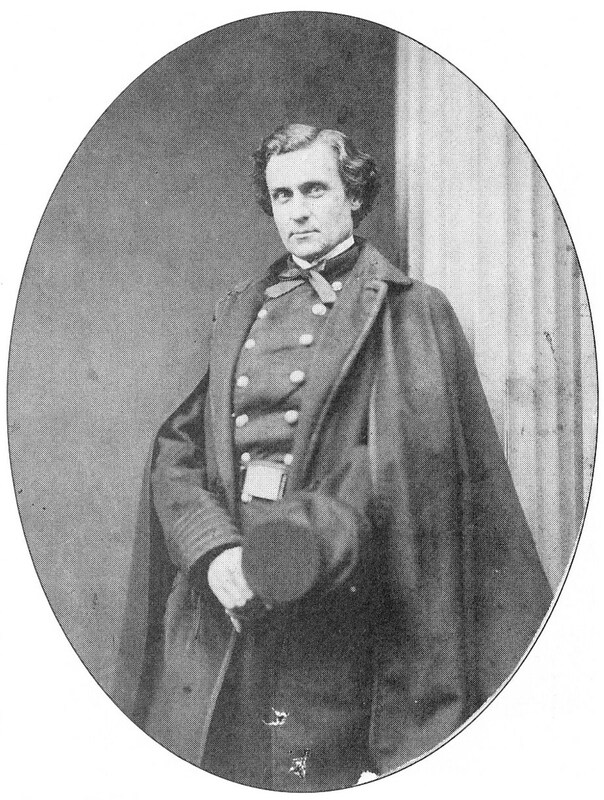 Prior to his service during the Civil War, Clark studied documents wrote articles about and mapped the route of the famous Sullivan-Clinton Expedition. General Clark studied and became a leading authority on the early Jesuit missions throughout the area. Through these studies he naturally branched into and became an authority on the early Iroquois Indians. His work with and about the Iroquois was acknowledged with his being awarded the Cornplanter Medal. In 1904 Clark was the first recepient of this award for the recognition of research. His papers and artifacts were turned over to the Cayuga Museum. Clark also served as the Auburn City engineer and surveyor. His maps and documents are a part of Auburn history. General Clark is buried in the Sunnyside Section of Fort Hill.